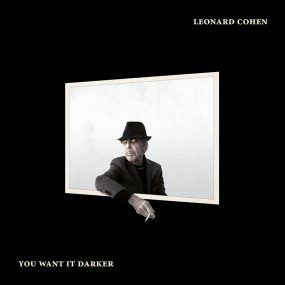 Today we celebrate Leonard Cohen’s 14th studio album YOU WANT IT DARKER, which is now available in stores and digitally worldwide. To accompany the release of the album is the premiere of the lyric video for the lead single “You Want It Darker.” Click here to watch. The new collection of startling songs was produced by his son Adam Cohen, and following last week’s global launch event at the Official Residence of the Consul General of Canada in Los Angeles, the accolades for this body of work have been pouring in from around the world. 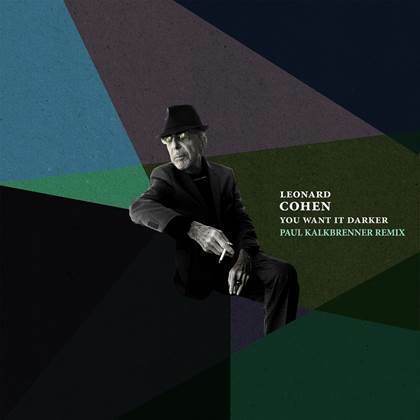 Berlin DJ Paul Kalkbrenner’s remix of Leonard Cohen’s new single “You Want It Darker” premieres today, Oct 7 2016. The electronic artist debuted his rendition of the Leonard Cohen track at Lollapalooza Berlin earlier this month. Kalkbrenner gives Cohen’s hypnotic song of religious exploration, a booming bass and an upbeat tempo. The remix is available globally on all digital providers today. Click here to listen. Paul Kalkbrenner is one of techno’s most successful artists, and been active in the Berlin techno scene since the 90s. He has produced seven studio albums and his single “Sky and Sand” went Platinum with over 200,000 copies sold. It charted on the German singles chart for 121 weeks, breaking the German singles record. In 2014 he was asked to perform in front of the Brandenburg Gate for 500,000 people to mark the 25th anniversary of the fall of the Berlin Wall, and this year he was the first techno artist to ever play the main stage of the famed Tomorrowland Festival. After signing with Columbia in 2015, Kalkbrenner released his album “7” in August 2015. Leonard Cohen’s 14th studio album, YOU WANT IT DARKER arrives in stores on October 21st, 2016, available for pre-order now. Copyright © 2009-2019 Sony Music Entertainment Canada Inc. All Rights Reserved.